One of my all-time food combinations is cinnamon and raisin! But when you combine them to create some delicious banana bread, it takes things to a whole other level. There’s nothing I love more than seeing my bananas get all brown and mushy because that means it’s time to make some cinnamon raisin banana bread! 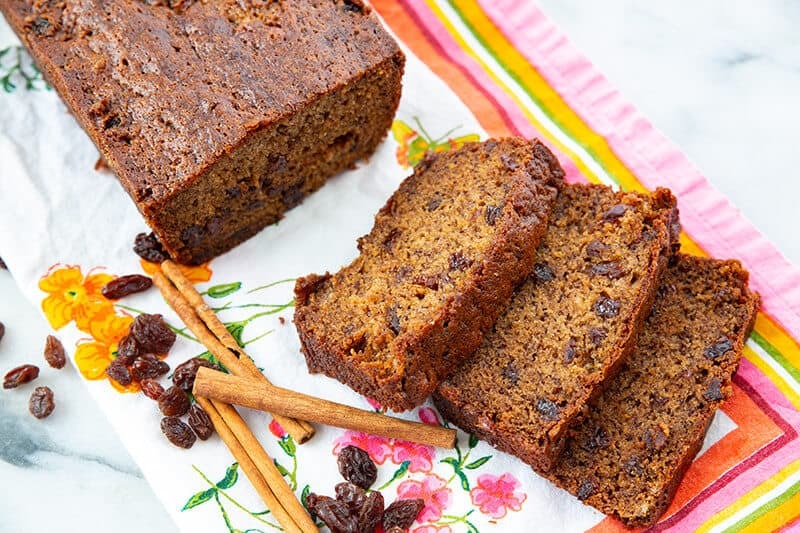 I am banana bread bonkers, and this cinnamon raisin banana bread is the perfect snack to have with a cup of tea for breakfast, a snack throughout the day, or as a yummy dessert with a twist! Preheat the oven to 325 °F. Grease a 9×5 inch loaf pan and set aside. Whisk together the flour, salt, baking soda and spices in a bowl. Slowly mix in the dry ingredients until incorporated, mixing on the lowest speed. Bake for 60 to 70 minutes in the preheated oven, until a toothpick inserted into the middle of the loaf comes out clean. Cool the loaf in the pan for 10 minutes, the remove from the pan and let cool completely on a wire baking rack. 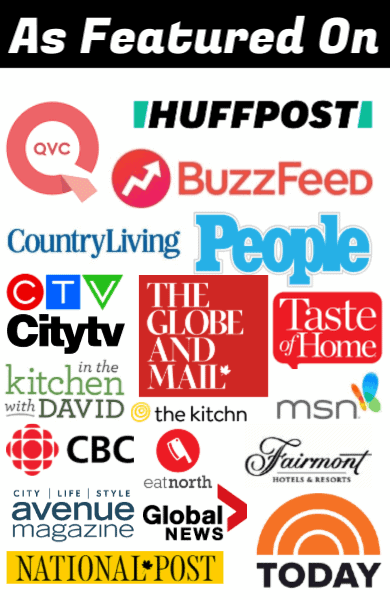 Store at room temperature in a closed container or bag for 2-3 days. Do your bananas have to be overripe to make Cinnamon Raisin Banana Bread? A lot of recipe books will tell you that you should only use extra overripe bananas for this recipe, but the general consensus is really that as long as they’re properly yellow they’re fine to use. Of course, the longer you leave them the better, but don’t think that you can’t make banana bread just because your bananas aren’t 90% black! The whole “overripe” thing really stemmed from people wanting to use up their bananas instead of letting them go to waste. Overripe bananas will be easier to mash but there isn’t a massive difference in flavour once they’re cooked. As long as your bananas aren’t tinged green, they’re fine to use. 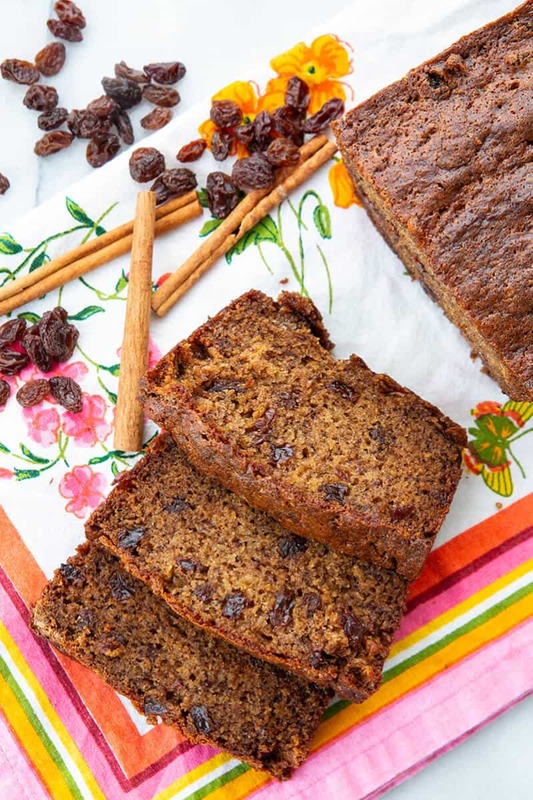 How healthy is Cinnamon Raisin Banana Bread? Everyone knows that bananas are good for you, but cinnamon has lots of hidden health benefits too! Cinnamon isn’t just tasty, it actually has an abundance of hidden health benefits that you probably didn’t know about! It contains really important minerals like iron and magnesium, it helps to control your blood sugar, and it’s high in fiber and calcium which leads to a super happy colon! Research from the University of Michigan even says that cinnamon can help to burn fat! And this is in addition to the health benefits of bananas, such as improved digestion, lower blood pressure, and a healthy heart! Raisins are also packed full of fiber, vitamins, and minerals. So whilst banana bread can seem like a little bit of an indulgence, it’s actually a pretty healthy option to have in your recipe kit, and especially when cinnamon and raisins are involved. How long does Cinnamon Raisin Banana Bread last? When it’s stored properly, your cinnamon raisin banana bread will last for about 2 days at normal room temp. If you want it to last a bit longer, just stick it in the fridge and it’ll keep for about a week. You can also freeze it if you want it to last for a few months! Generally quality will start to suffer after 2-3 months in the freezer so try to use it before then (I don’t know why you’d be storing it for much longer though!). So there you go, a healthy and yummy option for brekkie, snacks, or dessert that’s easy to make and very economical too! Quickie Homemade Cinnamon Rolls: a great last-minute sweet treat for breakfast or brunch! Chocolate Banana Buttermilk Bundt Cake: another amazingly delicious banana bread variation! Lemon Blueberry Overnight Breakfast Cake: yes, overnight breakfast cakes are a thing! And you’ll be so glad you discovered this one! 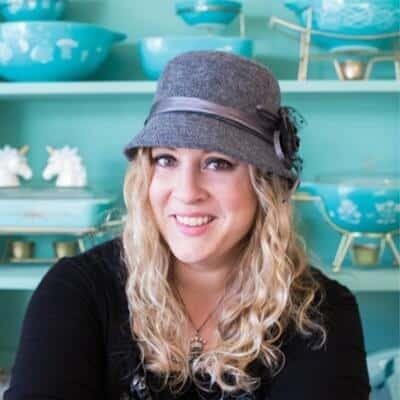 PIN THIS RECIPE to your BAKING RECIPES Boards and Remember to FOLLOW ME ON PINTEREST! 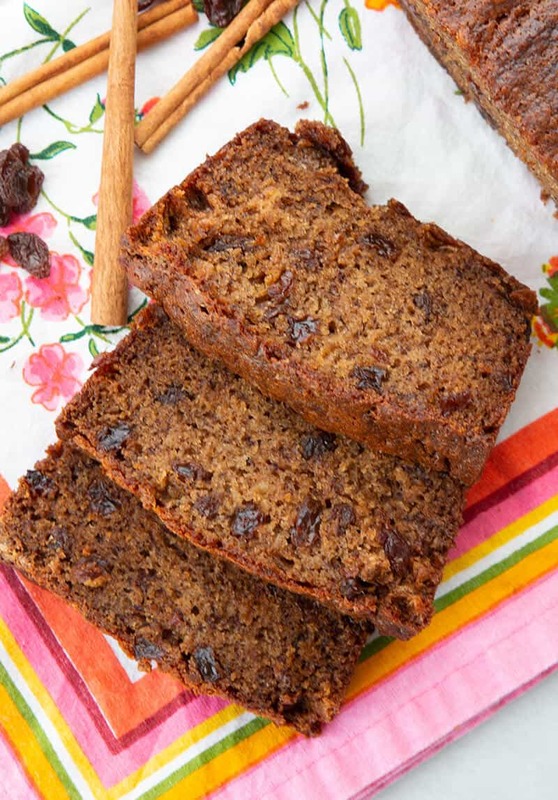 This cinnamon banana bread is loaded up with spices and raisins for the raisin lovers! This is a great way to change up your banana bread! Preheat the oven to 325 °F. Grease a 9x5 inch loaf pan and set aside. You can add a few more raisins if you want! Bake it low and slow and it won't dry out! Only one cup of flour? Most banana bread recipes call for two cups. Yes, one cup. This is a dense, heavy. banana bread filled with raisins and spices, very similar to my banana nut bread that also uses only one cup. There is also no baking powder as well. It’s all correct!